Stylish and beautifully appointed end of terrace villa located on the edge of the popular and convenient area of Currie; this superb family home forms part of an exclusive small modern Cala development. This stylish and impressive property offers spacious accommodation that is in immaculate condition throughout with south facing rear garden, front and side gardens along with two designated parking spaces. 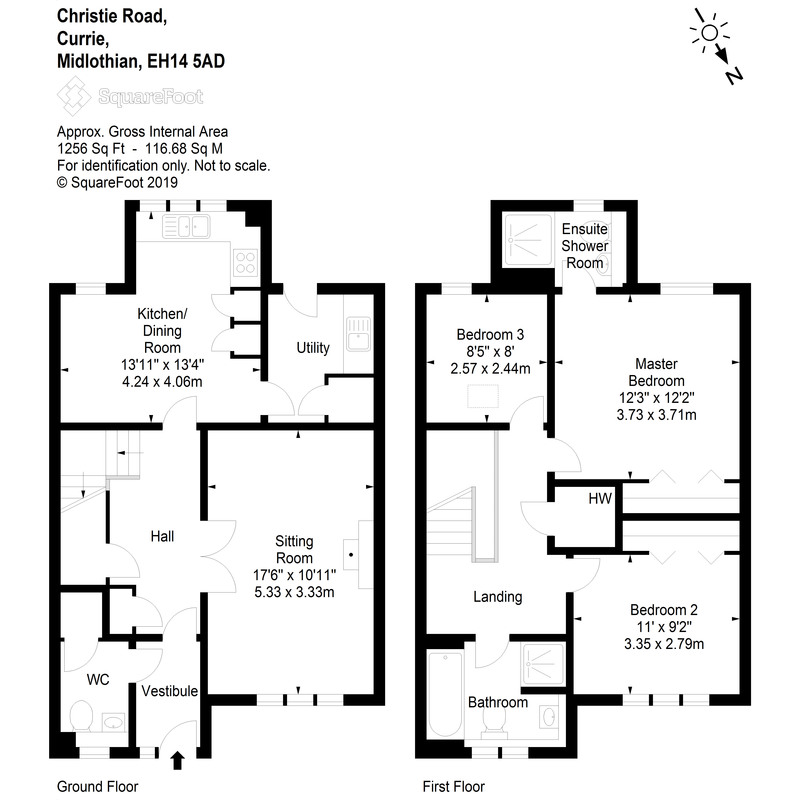 The accommodation compromises – a welcoming entrance with downstairs w.c. and storage; modern and bright living room that looks onto front garden; well appointed kitchen with dining area and high-quality integrated appliances; master bedroom with built-in wardrobes and en suite with walk in shower; double bedroom 2 also with built-in wardrobes and single bedroom 3. Situated approximately 6 miles from Edinburgh city centre, Currie is a quiet popular residential area. There is a regular bus service to and from the city centre along with frequent train service from Curriehill Station that provides direct links to both Edinburgh and Glasgow. The bypass is a short drive away and leads to the Gyle, Edinburgh International airport and the M8/9/90 motorway network. The area is served by excellent primary and secondary schools both of which are within walking distance of the property plus Heriot Watt University is a short distance away. There are good local shops, butchers, a cosy pub and easy access to nearby Hermiston Gait and Gyle Centre. Recreational facilities include a number of popular golf courses, use of the sporting facilities at Heriot Watt University, walks along the Water of Leith Walkway and in the Pentland Country Park. Need more information on this property?